Bob Calihan was a native of Chicago who went on to become Detroit’s most famous basketball personality of the first half of the century. Calihan led Detroit University to a 41-18 record during his three collegiate seasons. In 1940, he signed a pro contract with the Detroit Eagles of the National Basketball League. The Eagles managed only a fourth-place finish in the NBL, but came alive in the post-season to win the 1941 Chicago Pro Tournament. For his play during his rookie season, Calihan was named a second-team all-league performer, the first of four times he would win such an honor. Calihan was a capable defender and strong rebounder, but offense was his forte. He usually played with his back to the basket on the right side of the court from where he launched graceful left-handed hook shots with deadly efficiency. Calihan served in the military for four years during World War II. 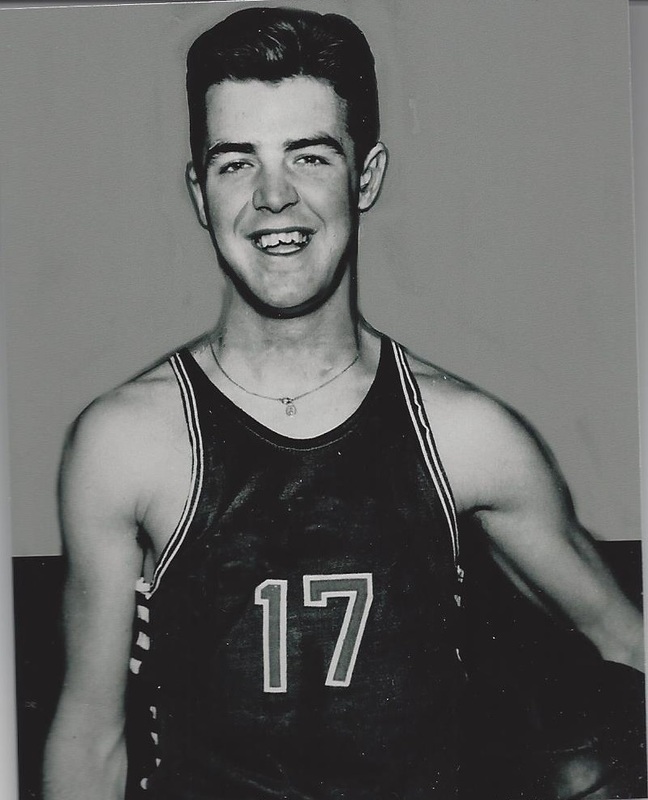 After the war, he returned to professional basketball with his hometown Chicago Gears., a powerful teams that featured Bobby McDermott and George Mikan. The Gears won the 1946-47 NBL title. In the fall of 1947, Gears’ owner Maurice White formed a 16-team league with the Gears as the flagship franchise. The whole idea went up in smoke after just four weeks and the Gears’ players were distributed to teams through the NBL. Calihan was assigned to Flint where he enjoyed his most productive scoring season as a pro, but endured a tough year on a dreadful team that won just 8 of 60 games. In 1948, Calihan was hired as basketball coach of his alma mater. The same year, he also played an abbreviated schedule with the Syracuse NBL team, in what was his last season as a player. Calihan compiled a 301-242 record over 21 seasons at Detroit University before he retired after the 1968-69 season. Robert James Calihan Born: Aug 2, 1918 Died: Sep 22, 1989 Hometown: Evanston, Ill.